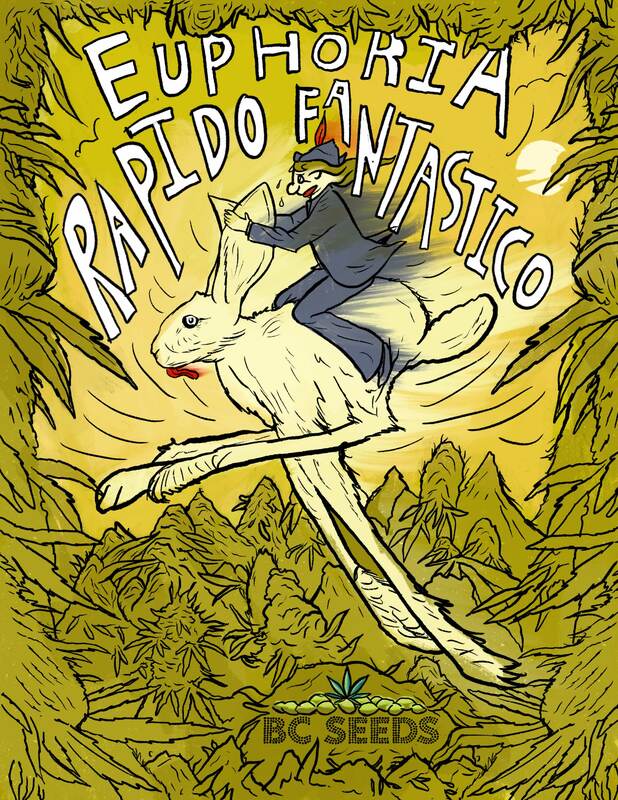 Euphoria Rapido Fantastico is a unique cannabis strain. 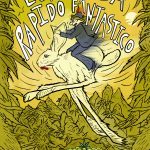 Our gonzo superstrain Euphoria Unlimited is an all-day experience, so we created Rapido Fantastico for people have to be somewhere eventually. You know, have the aliens bring you home before the party really gets out of hand. Rapido comes on faster and wears off after “only” 5 hours or so. 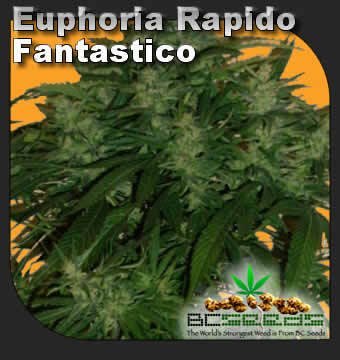 Tags: Euphoria Rapido Fantastico, Godmother Bud, Godmother Cannabis Strain. Euphoria Rapido Fantastico is a tuned up strain. For this fine-tuning of our original Euphoria, we had to travel to Mexico for a unique crystal-laden Sativa male. We met with advanced growers in Mexico City and they had a “farm” they wanted us to tour. My guide, Manuel told us it wasn’t very far away, only 1 hour outside of Mexico City. What he didn’t tell us was it was 1 hour by plane, not by car. After a terrifying flight on a small Cessna that actually had tuck tape holding some of it together, we landed on a very bumpy dirt air strip. The fields were amazing! I had seen outdoor grow operations before, but never this organized. Somehow thier Colombian partners seemed to have a way of keeping everything insanely organized. Mexico, historically known for its low grade weed. 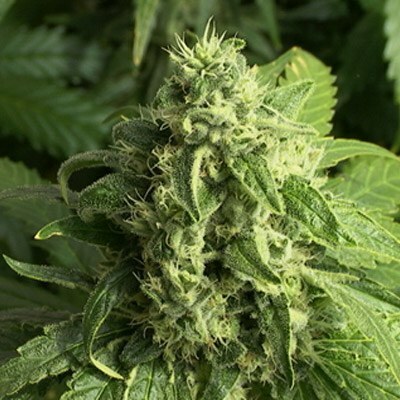 Ditch weed was composed of both male and female plants, seeds and stems compressed together in wooden barrels. The THC levels were poor and the taste not so good. But the world has globalized, and information about advanced cannabis cultivation has been easily accessible. “Everything has it’s cycle” Manual continues; “Even Heroin and Cocaine go in and out of fashion. We have been working on new marijuana strains since I was born, but the real innovation started in my village in the year 1999, when we purchased your BC White Widow and others from your seed bank. We tried all the strains from the Dutch, but they never had the same vigor as your BC stuff”. Honest bunch of guys at BC Seeds, they took good care of my much special needs (for medical use) all the way to Mother Russia.